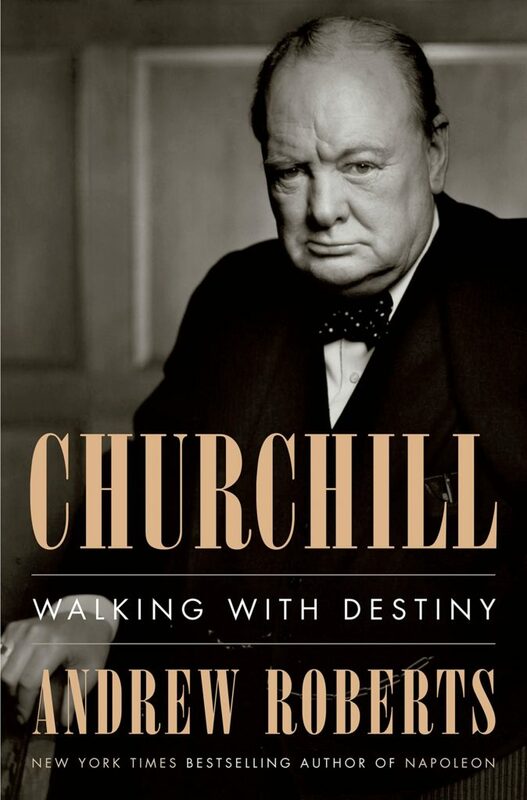 Churchill – Walking with Destiny by Andrew Roberts is for people who have an exceeding amount of enthusiasm about Winston Churchill. Its 982 pages (excluding extra notes) are certainly not for the faint hearted. Some time during last winter, this book was gifted to me by a very generous soul who truly understands and tolerates my obsession with history and Churchill. It landed in my hands, feeling like a weapon for self-defense. Reading history and of its great men is partially learning and practicing strategies for defending our civilisation during tumultuous times. This is the most outstanding part of the self-education that made Churchill who he was. Andrew Roberts gave a talk about this book at Stanford a few months ago. He spoke of accumulating decades long of work for this book. Writing other books was great preparation for writing this one that he longed to do. New materials surfaced in recent years enabled him to include fresh personal and public records of that era. It was a great fifty minutes talk including Q&A. I was fascinated by his talk but left utterly unsatisfied. Up to this day, I think that event should have been at least a couple of hours long. Please please tell me more. I have so many questions to ask. Such is life. I would have to comfort myself through reading the book again. I enjoyed reading and even more so listening to this book. But two flaws came up multiple times. There are some jumps in the text, sometimes within a paragraph, leaving me puzzled why the author thought it was a good idea to insert a quote or his analysis there. There is occasional repetition across chapters, although not too severely. For a book of this length, it might have been intentional to remind the reader of the text from previous chapters. Entirely forgivable, I suppose. The texts wrapped in single quotes below are from Churchill himself. The part without quotes are from the author. The sources of the other texts are given as in the book. The Atlantic Charter was announced on 14 August, which was the first moment the world knew that Roosevelt and Churchill had met, and that they were in total accord about the underlying principles for the world they wanted to build after the extirpation of Nazism. It provided a potent rallying cry for the forces of freedom, so that people could feel they had something inspiring to fight for, and not just something evil to fight against. It was an integral part of Churchill’s leadership code never to scapegoat subordinates. One of the few criticisms Churchill ever made of the 1st Duke of Marlborough was that he never wrote his memoirs: ‘He seems to have felt sure that the facts would tell their tale.’115 Churchill’s own monument was not going to be made ‘by piling great stones on one another’, as he put it, but by these war memoirs. Churchill was right when he wrote that all his past life had been but a preparation for the hour and trial of his wartime premiership. His early mastery of the ‘noble’ English sentence, and his wide reading as a subaltern, enabled him to produce his magnificent wartime oratory. His time in Cuba taught him coolness under fire, and how to elongate his working day through siestas. His experience in the Boer War exposed him to the deficiencies of generals. His time as a pilot and as secretary of state for air made him a champion of the RAF long before the Battle of Britain. His writing of Marlborough prepared him for synchronised decision-making between allies. His penchant for always personally visiting the scenes of action, such as the Sidney Street Siege and Antwerp, prepared him for the morale-boosting visits around Britain during the Blitz. His fascination for science, fuelled by his friendship with Lindemann, led him to grasp the military application of nuclear fission. His writing about Islamic fundamentalism prepared him for the fanaticism of the Nazis. His prescient, accurate analysis of Bolshevism laid the ground for his Iron Curtain speech, and his introduction of National Insurance and old age pensions with Lloyd George before the First World War prepared him for accommodating the welfare state after the Second. Above all his experiences in the Great War – preparing the Navy, the Dardanelles debacle, his time in the trenches and as minister of munitions – all gave him vital insights that he put to use in the Second World War. ‘Man is spirit,’ Churchill told the ministers of his Government just before his resignation in April 1955. What he meant was that, given spirit – by which he meant the dash, intelligence, hard work, persistence, immense physical and moral courage and above all iron willpower that he himself had exhibited in his lifetime – it is possible to succeed despite material restraints. He himself succeeded despite parental neglect, the disapproval of contemporaries, a prison incarceration, a dozen close brushes with death, political obloquy, financial insecurity, military disaster, press and public ridicule, backstabbing colleagues, continual misrepresentation and even, from some quarters, decades of hatred, among countless other setbacks. With enough spirit, he believed that we can rise above anything, and create something truly magnificent of our lives. His hero John Churchill, Duke of Marlborough, won great battles and built Blenheim Palace. His other hero, Napoleon, won even more battles and built an empire. Winston Churchill did better than either of them: the battles he won saved Liberty.